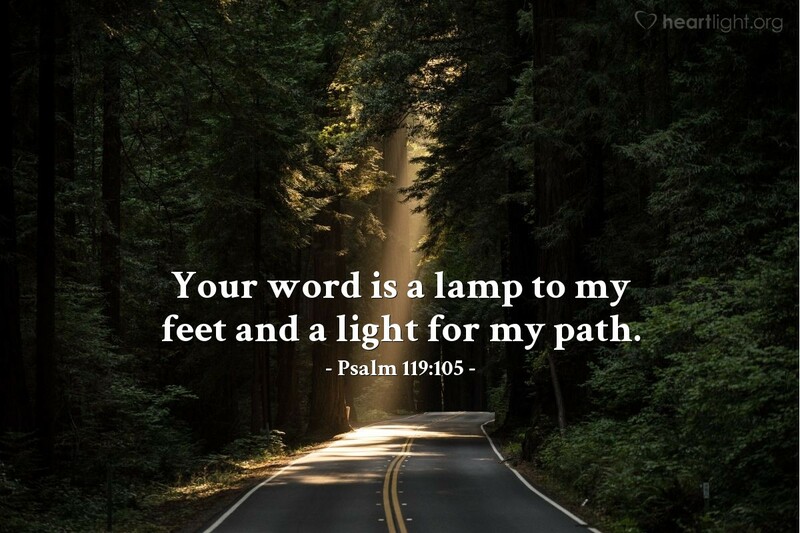 God’s promises, God’s Scripture, helps us find our way in a pluralistic world of competing voices and lights our path in time so given to cynicism and despair. What such great grace we have to know God’s will in our own words! Now if we will only walk in the light! Loving Father, thank you for giving me your truth in Scripture. To know that you love me enough to communicate in language so I can hear and read your message is truly awe inspiring to me. Make my heart hunger for your truth revealed in your Word. I want to grow to be a righteous and gracious child in your family. With all my love I pray to you in the name of my older Brother and Savior, Jesus. Amen.